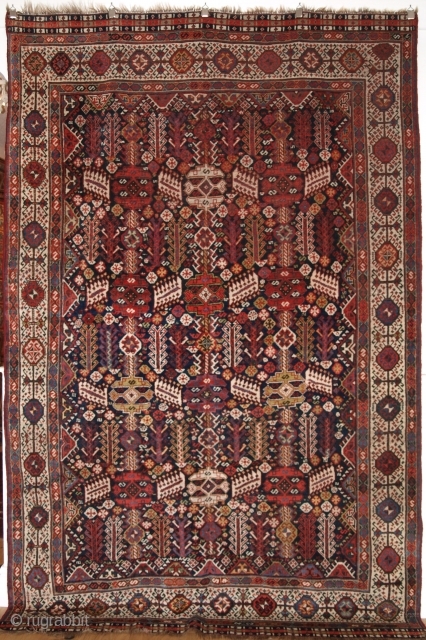 Antique Shekarlu Qashqai rug of classic design, a rug of unusually large size. www.knightsantiques.co.uk 8ft 6in x 5ft 7in (260 x 170cm). Circa 1900. 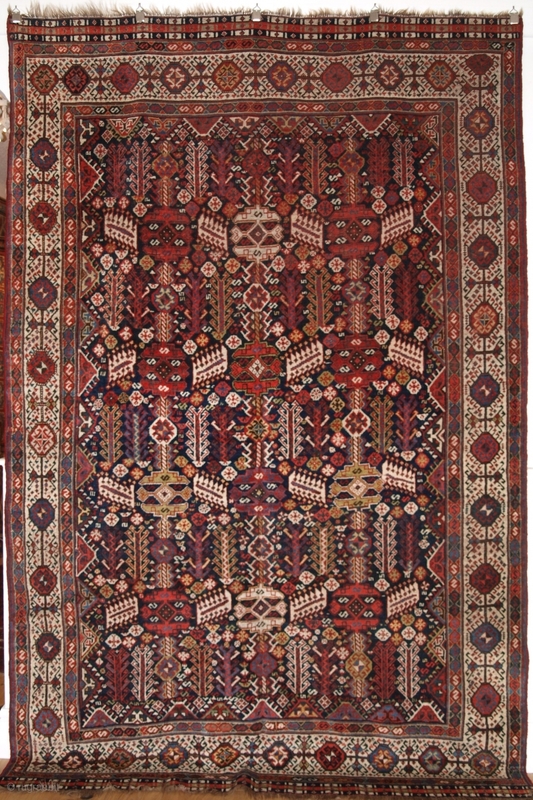 This classic Shekarlu has a field full of tribal motifs, including shrubs, flowers, tribal motifs, and the Shekarlu comb design. The array of colours is outstanding including yellows, soft blues, reds and greens. 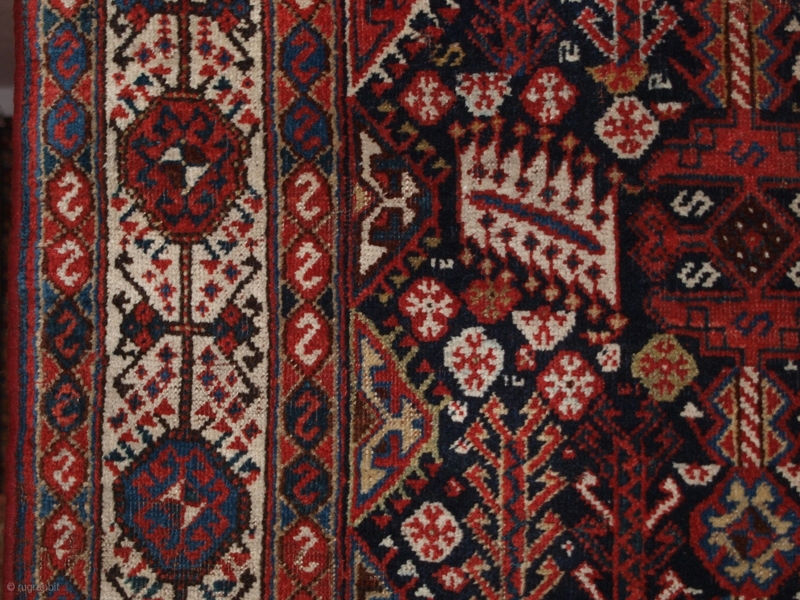 The border is of typical Shekarlu design, both ends have the original checkerboard finishes. 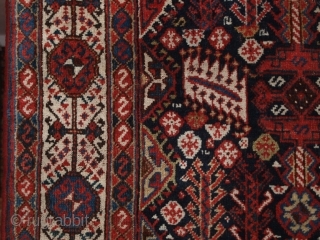 The weave is classic Qashqai with red wefts. The carpet is in excellent condition with very slight wear and almost full pile, the ends have been secured and the sides re-bound, there are a few very small finger tip size old repairs. This is a sturdy rug that will stand up to floor use well. Hand washed and ready for use or display. The rug is suitable for normal domestic use. Stock Number: r-1405.